I love to use the time around the beginning of the year to reset my organization. I take a look at the systems I have in place for school stuff and see what's working, what needs tweaking and what needs to be ditched (it happens, even to the best of us). One of the big areas that I like to focus on is the drop zone - the place where things just end up as soon as those kids make it home from school. 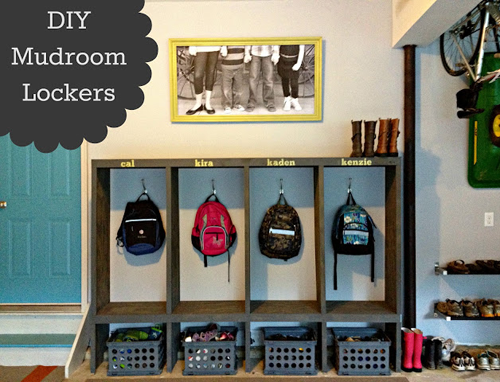 If you have a mudroom, you have the ideal drop zone (I'm officially jealous). Even if your house doesn't have a mudroom, though, you can still find some way to organize this spot to help avoid tripping over lunch boxes, jackets and half opened backpacks. 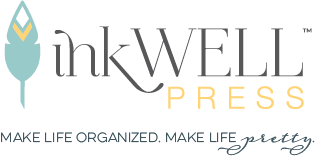 There's a lot of great ideas out there… I'm sharing a few of the best ones I found along with a few that I use in my own home. 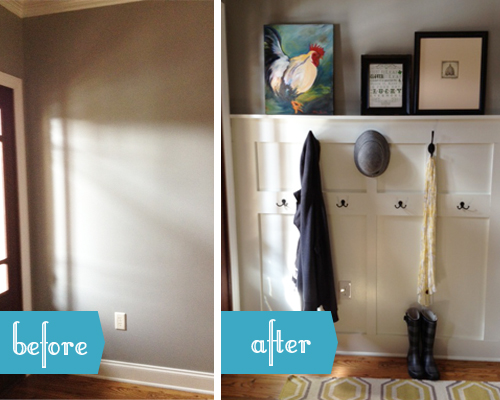 Remember when I posted this DIY of how to turn a plain wall into a mudroom style room? This is my entry way, so it works perfectly for hanging coats & wrangling boots. When guests come over I love having a quick spot to have them leave their coat. Total cost was about $50 and took just an afternoon to complete. One of my issues, though, was that our family usually enters the house through the garage, so while I loved my entry wall, I needed a space for the clutterbugs to keep their school stuff. I came up with a super simple idea of adding hooks (these are from Home Depot) along a few wire baskets for holding papers & lunch boxes. I didn't need anything too fancy - and my space was small, but if you have a larger garage space, you could consider adding these lockers. This DIY includes step by step instructions and uses plans from one of my favorite sites for construction plans - Ana White. Another genius DIY which work work in virtually any space is these vintage crates that have been transformed into boot racks. Bonus points if you have crates lying around - or visit your local wine shop, they'll be happy to let you unload a few crates off their hands. Find full instructions here. 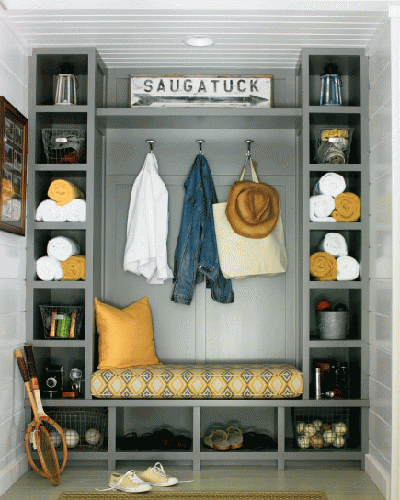 If you have a little nook, a mud room transformation doesn't have to cost much - This idea from BHG uses pieces are from Ikea. Total cost is just $324 - not bad to have a built in feeling. Of course, if you have the time, true built-ins can make a little wall like this usable from floor to ceiling, plus it looks amazing. I love that gray on gray. Image from here. What about you… if you don't have a mud room, what do you do to help wrangle the after-school clutter?